At one point not so long ago, I had absolutely no desire to see a sequel to 2009's X-Men Origins: Wolverine. In hindsight, it probably wasn't as bad as I originally thought, however that doesn't forgive the blatant disregard that film showed for one of my favorite comic book characters (Deadpool/Wade Wilson). 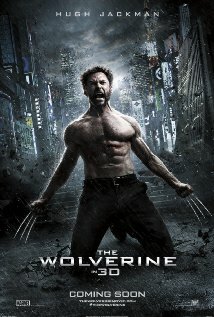 When The Wolverine (2013) was originally announced, it was going to be directed by Darren Aronofsky (Requiem for a Dream, The Wrestler, Black Swan among others). This caught my eye and not only intrigued me, but instantly swayed me to the side of optimism. Unfortunately due to scheduling issues, Aronofsky left the film. James Mangold (Girl, Interrupted, Walk the Line, 3:10 to Yuma) then took his place at the helm of the film that was said to be based on the classic Chris Claremont/Frank Miller comic book arc from 1982. That story is widely regarded as one of the best Wolverine stories to see print. That story being the basis for this film intrigued me even more. Hugh Jackman reprises his role as Logan/Wolverine, which is the best thing the X-Men film franchise has going for it. He's always been a great embodiment of Wolverine, so my only worry is about how the story will actually be handled (which I felt this was lacking in Origins). These first teasers for The Wolverine do look to use at least some elements from that Claremont/Miller story, introducing characters like Mariko Yashida, Viper, and Silver Samurai to the X-Men movie universe. I'm now finding myself waffling on my previous stance of not wanting to see a Wolverine sequel. This film looks to be pretty entertaining with plenty of action and Wolverine back story, which in the movie universe hasn't really had fleshed out yet. Right now, The Wolverine is looking like another potentially strong entry to the comic book movie ring this summer along with Iron Man 3 and Man of Steel. We'll see if it is able to overcome the shortcomings of its predecessor, but after seeing these initial teasers trailers I certainly am hopeful.